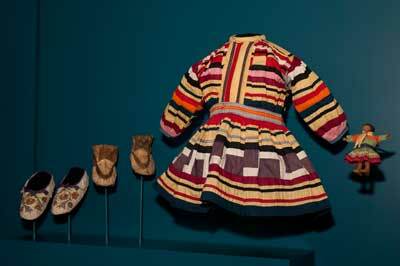 Like all children, Native American children play—competing in ball games, dressing up dolls, playing in the snow. There is more than meets the eye with these children’s toys and games. These offer children ways of learning traditions of families and people. The toys, games, and clothing in these cases are from North, Central, and South America, and represent many tribes and time periods.